A few years back I wrote about spectator injuries at the ballpark. It focused on the dangers fans face from missile-like wayward foul balls and splintering bats. Some of the injuries sustained by these fans are quite serious. However, history show the courts historically follow the “baseball rule,” which insulates baseball teams and stadiums from liability if protective netting is installed behind home plate. Protection from liability is also couched in the assumption of risk spectators agree to that’s printed on the back of their tickets. It’s long been a point of contention that the netting should be extended well past the home plate area. Statistics show that the most serious of these types of injuries occur along the foul lines. All sorts of distractions from cell phones to the jumbotron leave spectators vulnerable to these unintended missiles shooting into the stands. It takes less than a second for a foul ball to fly into the stands. Bats that were once made of ash are now thinner-handled maple wood, which is more prone to splintering. In the past year or so, one by one, Major League Baseball teams began installing netting farther down the base lines. Some go as far as the dugout and others all the way down to the pole. Last week, the Arizona Diamondbacks and Tampa Bay Rays were the last two teams to agree to extend netting past the plate in their stadiums. It goes without saying that extended netting in stadiums should drastically lower the rate of fan injuries. That’s all well and good. But the courts still rely on the baseball rule when injured fans sue for damages. The seriously injured fan who led the charge for extended netting has been embroiled in appeals for years. His medical costs (and likely his court costs) were extensive. His next stop is the Supreme Court of New York, where it’s doubtful he’ll win. The remedial measures to extend netting is strong evidence of teams knowing that fans can’t be expected to dodge 90-mph foul balls. When will the baseball rule be thrown out? 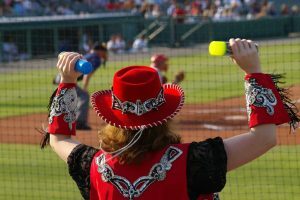 Source: “Major League Baseball Finally Does the Right Thing: Viewpoint.” insurancejournal.com. 02 Feb 2018.